I got the Tenhz T5 from Linsoul. It’s alright. I think its massively overpriced from the very limited listening so far. It sounds a similar to the P4 Pro but darker. I think the P4 Pro is just slightly bright of neutral while the T5 is just slightly darker than neutral. I find the soundstage to be a bit compressed and narrow, and sound is a little grainy and not very clean. I also got the BGVP DM6 yesterday as well. It seems like a less V-shaped iem than the DMG. It’s probably U-shaped. 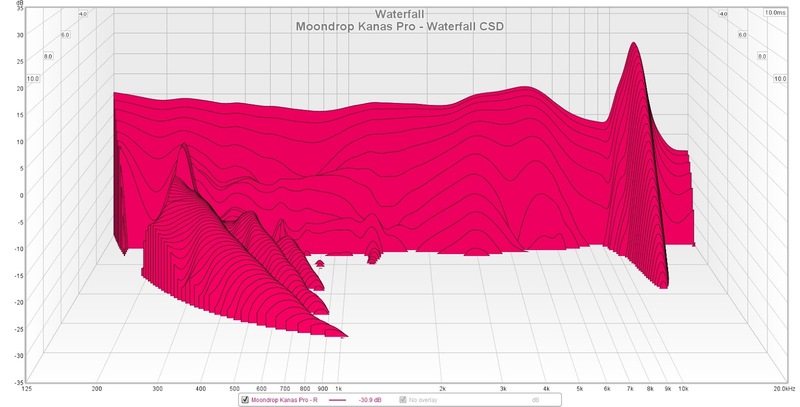 Bass has weight to it, and it’s got a soft treble peak. I found it a good listen for the 20 mins I tried them on so far. I’ll probably be enjoying it. I just gave away my DMG to a random stranger in-need, so I dont have it to directly A-B to. Finally, besides the T3, I got the PMV Crescent. It’s $399 and I think the unit I got is defective. The mids and lower treble are completely sucked out. Totally missing lower treble. Measurements show this. I asked HawaiiBadBoy (Bad Guy Good Reviews) to share his measurements and his look “normal” and mine look totally wrong. Sigh, oh well. Have you had any communication with Tenhz since the Chinese New Year started? I’ve had a pretty significant QC problem with my pair and I haven’t been able to get in touch with them about it. Edit: Re-read your message and saw you got your pair from Linsoul. Most chinese companies are shut down until next week. I don’t know if I’d call the T5 grainy but I’d definitely call them dark and overpriced, especially at $200. The CCA C16 is the third and latest IEM from Clear Concept Audio, a sister company of KZ (Knowledge Zenith). It follows on from the CCA C04 (1DD+1BA) and the C10 (1 DD+4BA). It is an all-BA design, featuring eight balanced armatures per side, hence the name C16 (16 drivers in total). It employs two 22955 bass drivers, two 29689 midrange balanced armatures and four 30095 treble units in each earpiece, which are 3D printed and made from a durable blue material with a contoured zinc alloy faceplate bearing the CCA logo and the words “8 balanced armature”. The design of the earpiece is similar in shape to that of the KZ AS10. On the side of the earpiece is written “Professional Configuration” along with the channel identification in a freestyle script. The nozzles have three small protruberances which serve as anchors for the eartips. The earpieces have no rear venting. The C16 has a detachable 2-pin (0.75mm) cable which is identical to that supplied with the C10, being a copper-coloured braided type with knurled aluminium 2-pin plugs and a right-angled 3.5mm plug. The packaging and accessories are also similar to the earlier model and include the cable, a set of three Starline-type tips and documentation, all presented in a neat small white box with an illustration of the IEMs on the front and the specifications printed on the back. Considering that the C16 retails for around four times the price of the C10, this was a little disappointing. I feel an upgraded cable, a better selection of tips and perhaps a protective case could have been included at this price. I found the pre-installed Starline tips did not give me a good fit and so I replaced them with the medium silicone tips from the TRN V80, which I have also used successfully on other IEMs. These gave a perfect seal and fit and provided perhaps the best isolation I have experienced on an IEM so far. The supplied cable is very long from the Y-split to the 2-pin plugs and is prone to tangling, so I also replaced this with a high quality silver-plated cable. The earphones were left burning in for 100 hours before testing and included tracks of white and pink noise, glide tones and other audio conditioning tracks. After this I used a Hifi Walker H2 DAP with a Fiio A5 amplifier for evaluation. I found that the C16s responded best with a robust signal, with the amplifier set to high gain and volume at around 33%. The bass on these was superb, and hands down the best I have heard, being deep and powerful with an amazing tightness and transient attack. Extension was excellent and overall was very linear with no mid-bass lift. A good example of this was in “Nuvole a Colori” by Rondo Veneziano. This features a series of synthesized string chord progressions overlaid by pseudo-baroque violin arpeggios. The bass had real impact and texture, creating a perfect foundation for the music. The ability of the C16 to go really low was evidenced in Messaien’s “Desseins Eternels”, a modern organ piece, meditative in feeling with unusual harmonies bordering on the atonal. A version by Louis Thiry has some of the deepest organ notes committed to disc, the pedal notes of the 32’ pipes reaching subterranean levels, all clearly reproduced by the C16. This is the first time I had heard BA bass, and I must say I was very impressed. The midrange on these was very articulate, with very good separation and was not recessed at all. Reproduction of harmonics was excellent, giving instruments their correct colour and timbre and endowing the sound with a very natural and open quality. The mids were in perfect balance with the bass and treble and though generally having a neutral feel, there was plenty of impact and life in the music. “Castilla” from the Suite Espanola by Albeniz, rattled along in entertaining style with bass drum, percussion and brass delighting in equal measure. This orchestral arrangement by Rafael Fruhbeck de Burgos in a beautiful vintage Decca recording was a perfect demonstration of the C16’s ability to portray an orchestra in a realistic ambience and natural setting. Vocal performance was impressive, too. In “Talk to me of Mendocino” from Linda Ronstadt’s album “Closer”, Ms Ronstadt’s voice soared above the accompaniment in wonderful style, each word beautifully clear and articulated and full of power and emotion. The treble was very extended with the finest details coming over clearly and with a crisp precision, but without being cold or harsh. There was an attractive crystalline quality to the upper register giving an airy and open feeling. Mark Dwane is a master of the MIDI guitar and has produced a series of albums based on mystical themes. “Paragons of Light” from the album “Variants” begins with multi-tracked jangly guitar sounds moving across the soundstage. Each string was beautifully articulated with an authentic metallic quality giving the music great impact. In Dave Brubeck’s classic “Take Five”, Joe Morello’s superb drum solo displayed the clarity and detail of the C16’s treble. Cymbals, snares and rim shots placed me right there in the studio with the musicians. Holst’s “Moorside Suite” for strings features attractive rhythmic arrangements of folksong melodies. The third movement is fast-paced and uplifting. The strings of the Northern Sinfonia conducted by David Lloyd-Jones gave a spirited performance which the C16s revelled in, with clean crisp string sonorities and an airy, believable acoustic. The C16s produced a soundstage which was wide and deep with an unusually good impression of height, giving a wonderful sense of space. Along with the excellent stereo imaging and instrumental positioning, they gave a very natural and open picture of the recording which was both technically and artistically satisfying. Detail retrieval was exceptional, with complex arrangements being clearly laid out with every strand easy to follow. “Words of a Mountain” is a unique album. It is a new-age fusion electronic album by a black musician, Wally Badarou. In “The Feet of Fouta”, the powerful percussion beats and infectious rhythms combined beautifully with the keyboard melody lines to great effect, producing an entertaining and foot-tapping result. “Antarctic Echoes” from Vangelis’s score to the Kurosawa film features the main theme in a slow and concentrated variation set in a highly reverberant soundstage. The C16s produced a cavernous acoustic with impressive fine detail and decay. In the past year or so, I have been fortunate to have tried out a number of excellent IEMs, including, most recently, the Yinyoo V2 single DD, the CCA C10, and the Senfer DT6 triple hybrid, all of which provided incremental advances in fidelity. However, in this case there was a significant increase in quality, which, given the higher price, one might have expected, but nonetheless was impressive. With its excellent detail retrieval, superb resolution, wide frequency range and open, expressive sound, the C16 now takes premier position in my ever-growing collection of IEMs. If you value a neutral, well-balanced sound, it really is an essential purchase. Do bear in mind, however, due to its revealing nature, that it will give of its best with a high quality source and recordings (320k mp3 as a minimum) so a dedicated DAP, and preferably also an amplifier, would be most appropriate. Note: I would like to thank Sunny from Better Audio US at Amazon.com for a promotional discount of 50% on the purchase of this item. Very nice, detailed review @Nimweth. I like your style. all measurements performed on Dayton IMM-6 mic with vinyl tube ~12mm distance from mic. It looks like tips can change the upper treble a bit. Take a look at the various tips I tried out just now. See the Legend at the bottom for the type of Tips. Essentially, my NewBee Foam tips gave the most DF neutral signature. 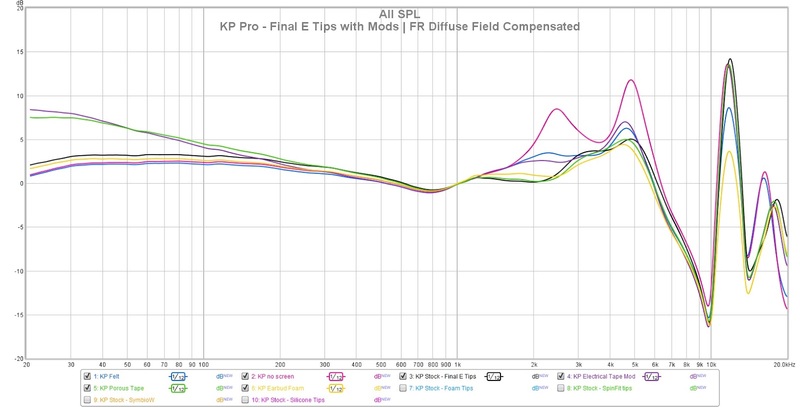 Final Audio Type E, generic JayBird X3 silicone tips, and Symbio-W Hybrid tips gave very similar results. The SpinFit CP145 gave just slightly different than the above. Again, check the legend at the bottom for the mod type. Final Audio E Tips were used in this mod in all cases here. Removing the grill/screen on the nozzle increased treble as I mentioned before. Using Electrical Tape to cover the nozzle vent increased bass and very slightly treble. Taking a piece of arts & craft felt and cutting a very small square and rolling it up and placing it in the nozzle (without grill) increased some low treble but decreased the upper treble peak. Taking an earbud foam and cutting a small piece and rolling it up and placing it in the nozzle (without grill) reduced the upper treble peak. Great review. References to specific musical pieces great for both reference and discovery. Write more reviews, please. Thank you. I enjoy writing the reviews and try to include different genres of music which I feel can be helpful. After all we listen to music on IEMs and we are not staring at a Frequency graph! Great work @antdroid. You’re one dedicated chap. Your measurements and contributions are always of interest to me. Just want to say thanks for taking the time and effort. 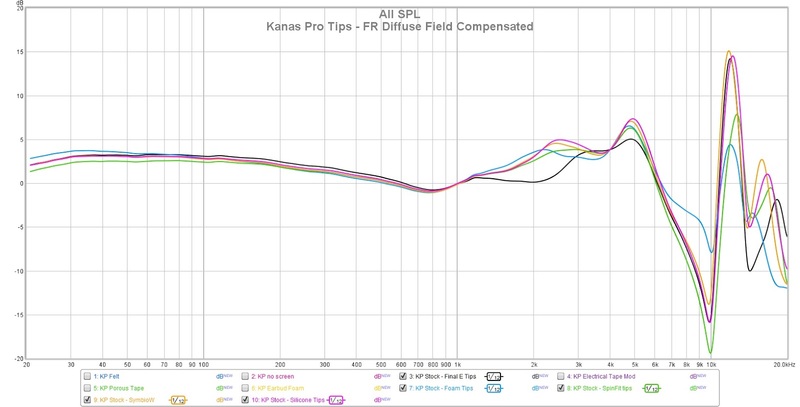 That goes for everyone who measure and chart the various headphones and iem’s. I appreciate it. Thank you. 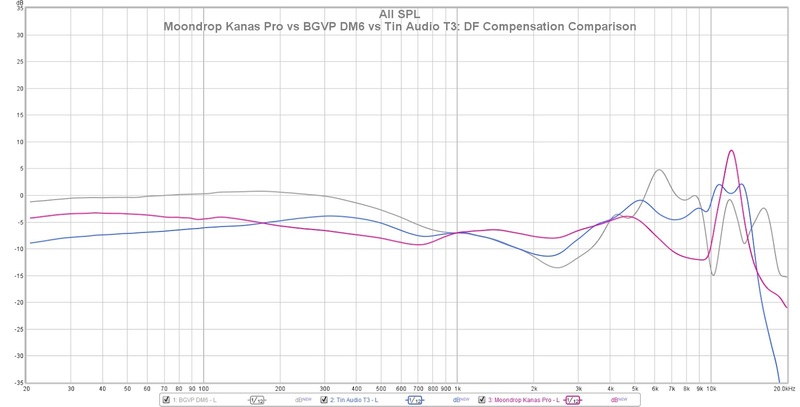 I will be posting more reviews, probably the Senfer DT6 will be next, and then maybe the KZ ED16. I’m glad you found the musical examples helpful, I have a rather unusual range of music and it’s nice to share! Splendid review @antdroid. I really enjoyed reading it. Welcome @FastAndClean. I hope you enjoy yourself. I’m sure you will there’s lots of great info to be had and as always we learn from each other. Below is my review of the Nicehck N3. The Nicehck N3 is an in-ear monitor with a hybrid driver configuration (10mm carbon nanotube dual diaphragm dynamic + piezoelectric ceramic) that retails for approximately $59 at the time of this review. I purchased the N3 from the Nicehck Audio Store on AliExpress for $1 with the expectation of a fair and objective review. The N3 is available for purchase on Amazon. I have tested these headphones with local FLAC, Spotify Premium, Youtube Music, and Qobuz Studio. The N3 comes in a small rectangular white box. The box pictures the Nicehck N3 on the front and lists technical details of the IEMs in Chinese, English, and Japanese on the back. The package includes the earphones, a detachable SPC cable with MMCX connectors, one set of white silicone ear tips (S, M, L), and one pair of grey silicone ear tips. The N3 has an all-metal housing using CNC’d aluminum alloy. It has a flat-ish spade-shaped exterior face with a shallow-scalloped section. The Nicehck logo is printed in white across the scalloped part of the exterior face. The interior body of the N3 has a shallow U-shape with a small lip at the top of the interior face and the nozzle on the lower side. A L/R indicator is printed on the interior face. Each earpiece has a single circular vent on the interior face of the housing. I occasionally experienced mild driver flex when inserting the left earpiece. The nozzle has a lip for securing ear tips and a cheese-grater style nozzle cover. The cable is clear plastic-sheathed sliver-plated copper with black plastic housings for the MMCX connections and a metal and clear plastic L-shaped housing for the 3.5mm jack. The MMCX housings have markings to indicate left and right, but they are hard to see in low light. The cable has pre-formed ear-guides without memory wire. There is a chin-adjustment choker. There is strain relief at the 3.5mm termination. The cable resists tangling and is non-microphonic. The Nicehck N3 is intended to be worn cable up only, with the IEM nested between the tragus and antitragus of the ear. The inner face of the housing curves around the crux helix of the ear. Comfort is excellent. It is easy to get a secure fit with a variety of tips. Isolation is above average. The Nicehck N3 has a bright, upper mid-focused tuning. Sub bass is extended but not elevated. Mid-bass is even less prominent. There is more rumble than slam. However, the bass response is lightning-fast for a dynamic driver with regards to both attack and decay. Bass texture is dry and clinical. The lower mids are recessed, leaving male vocals dry and without warmth. Upper mids are far more prominent with an abundance of presence that often strays into sibilance. Female vocals can be too breathy. Treble is clarity-focused, with incredible detail retrieval and satisfying sparkle. The treble is energetic rather than smooth. There is a huge amount of air. Transients are articulated with astonishing dexterity. Imaging is impressive. Instrument separation is above average for the price point. Soundstage width is average but soundstage depth is considerably deeper than average. My measurements were conducted with a Dayton iMM-6 microphone using a vinyl tubing coupler and a calibrated USB sound interface. The measurements are presented with 1/12th smoothing, and are compensated to pseudo-IEC specs using a measurement file provided by Crinacle based on a 9k resonance peak. Measurements above 10k are not reliable, and the magnitude of the 7.5k valley is likely a coupler artifact. The N3 benefits greatly from the following EQ settings, graciously provided by Head-Fier gazpl and iteratively refined by me. These EQ settings bring some much-needed warmth to the lower midrange and take the edge off the peaks in the upper midrange. With a sensitivity of 100dB and an impedance of 55ohms, the N3 needs a powerful source to sound its best. Smartphone headphone outputs and dongles struggle to deliver adequate power to the N3. Without a dedicated source, the N3 does not sound coherent. I had good results with my Hidizs AP60II on high gain. The N3 does not hiss. The V2 is warmer but has a more balanced frequency response overall. The N3 has better sub-bass extension but much less mid-bass. The N3 has better bass articulation but less authority. The V2 has more textured bass. The V2 has a less recessed lower midrange. The V2’s bass bleeds into the lower midrange more than the N3’s does. The N3 has a much more aggressive upper midrange. The treble on the N3 is much more energetic. The N3 is also airier. The N3’s soundstage is larger. The N3 has better detail retrieval and quicker treble transients. The N3 has better instrument separation and imaging. The V2 is considerably more sensitive and does not need dedicated amplification the way the N3 does. The N3 is more comfortable. The V2 has a slightly more secure fit. Housing build quality is similar but the V2 has a nicer cable. Both come with a zippered case. The V2 comes with two identical sets of ear tips in different colors. The N3 have similarly upper-midrange focused frequency responses, but differ in some important ways. The two IEMs have similar sub-bass extension but the MT3 has more of a mid-bass hump. However, the MT3 struggles with bass articulation, with the bass coming across as flabby in comparison to the N3. 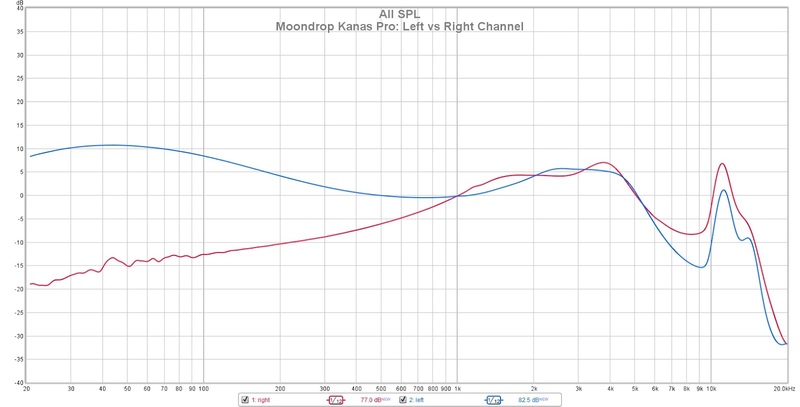 The two IEMs have similarly cold lower midranges. The MT3’s upper midrange, while equally aggressive, is less peaky compared to the N3. Despite this, the N3 has much better detail retrieval. The N3’s treble is much more energetic, with greater sparkle and more air. 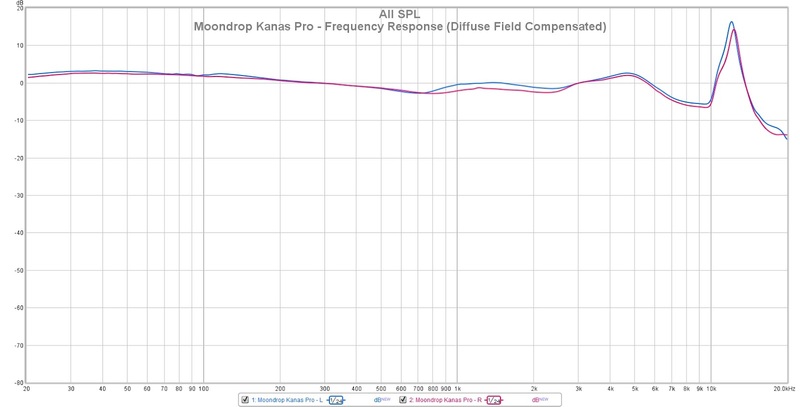 The MT3’s treble is grainy in comparison, especially at higher volumes. The N3 has quicker treble transients. The MT3 has a larger soundstage. Imaging and instrument separation are similar. The N3 is much harder to drive. The MT3 does not need a powerful source to sound its best. The two IEMs are similar with regard to comfort and fit. The N3 has more premium housing build quality, but I prefer the MT3’s braided cable. The N3 comes with a zippered case but the MT3 comes with a greater variety of ear tips. The N3 are a polarizing set of IEMs. They are astonishingly detailed but are bright out of the box and will not appeal to treble-sensitive folks or people who need a lot of bass. However, EQ will go a long way towards correcting the N3’s cold lower midrange and strident upper midrange. The materials used in the N3’s drivers are a revelation as far as speed and detail retrieval at this price point. Build quality is great and channel matching is spectacular. Recommended with reservations. Great review and love the EQ addition to it. Thanks! Looks like a headphone I may enjoy, but unfortunately I have too many right now to make use of it.